It finally got warm in New York so you know what that means! Flip flops, sandals, high heels, and foot pain! Yikes. Walking around in New York City even in just flats can be a pain in the toe so when I discovered Foot Petals at the #BlogMeetsBrand event a few weeks ago I was really excited! From flip flops to high heels: relax your feet with foot petals this Summer. Foot Petals, is known for fabulous and fashionable shoe inserts and shoe cushions! 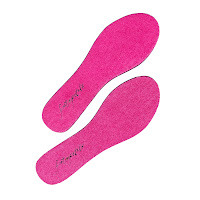 They are a huge help especially walking around the city or even just standing on your feet all day long. I got the opportunity to try three different products that the brand sells. 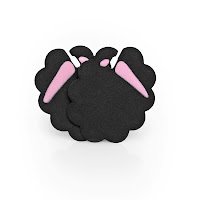 TIP TOES FOR FLIP FLOPS, $6.95 Tip Toes ball of foot cushion features a built in “relaxation ridge” to relieve toe pressure and provide all day comfort, You can slide this product easily into your favorite pair of sandals, flip flops or thonged shoes with the new toe post opening! These cushions also prevent calluses from forming, keep feet cool and dry and cushion the sensitive ball-of-foot area. SOCK-FREE SAVIORS, $18.95: With boat shoes and loafers being all the rage this spring – these wonderful sock-free saviors will come in handy! No socks – no problem – these antimicrobial terry cloth pads have a DRI comfort moisture management system build-in to keep feet cool and dry. The pads are machine washable so can be used over and over again. Sock-Free Saviors can be cut to fit different size feet/shoes. 3 comments on "RELAX YOUR FEET WITH FOOT PETALS THIS SUMMER! " Many people ask me how my foot pain cure. I told them it is only possible for by using foot massage reviews. Then many people are started using foot massager. They also feel positive result.